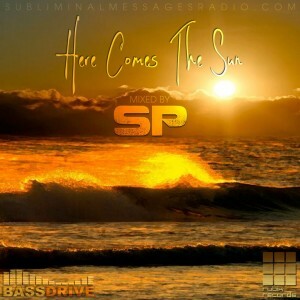 NEW from SP: Here Comes The Sun, SP’s new studio mix, is a 72 minute soundtrack for a start-of-summer drive down the coast. From Intelligent Manners’ take on Sublime’s summer anthem “Doing Time,” through Enei’s ripping remix of “Mob Justice” and beyond, SP drops some essential and timely tunes. I originally had a crate of “summer” drum & bass that I was planning to mix, but as I was recording, the mix kind of got away from me – as they always do – and I started getting a little wild in the studio… but I’m really excited with the way the vibe changes and flows through the mix. I’ve got some personal favorites and specific summer-time tracks in there, and I think its a great mix across the spectrum of drum & bass. Check out the full mix below, and while you’re at it, pop over to SP’s Soundcloud page and browse some of the other things he’s got going on.